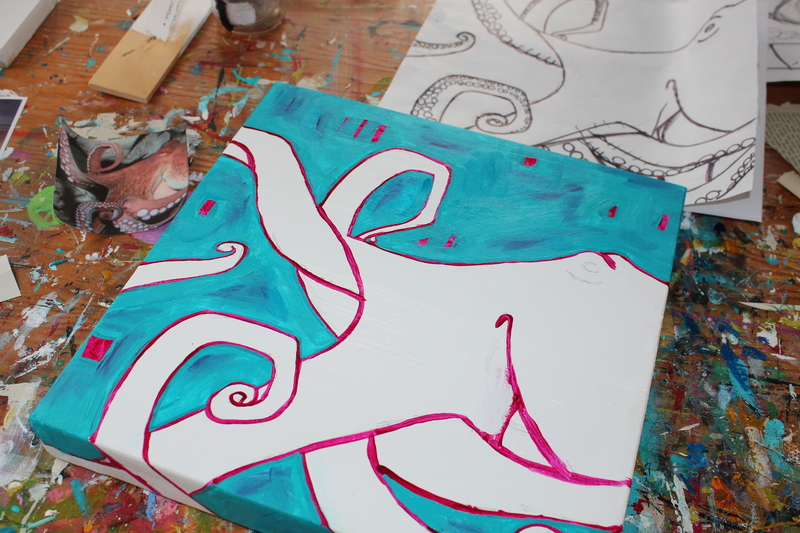 This entry was posted in Uncategorized and tagged art show, octopus, painting, SQUARED art show, studio by admin. Bookmark the permalink. I enjoyed painting in your awesome stufdio with you a couple years ago when I viisited. 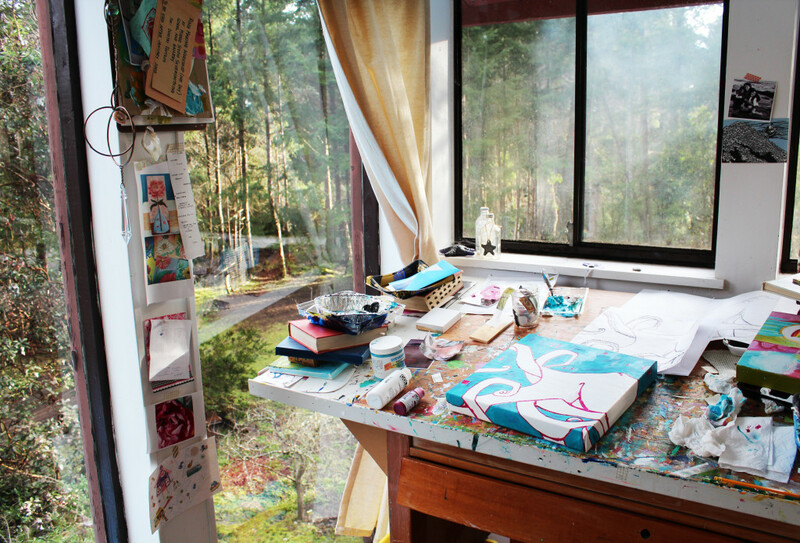 I remember that time creating together Em….so glad you are still painting! I can’t wait to see how it turns out Christy, I’m sure it will be lovely. thanks katherine, I am excited to see how it turns out too! I love the vibrant colours in this painting! So beautiful. thanks hon! she sure is a happy piece!